Raymond W. Yeung received the BS, MEng and PhD degrees in electrical engineering from Cornell University in 1984, 1985, and 1988, respectively. He joined AT&T Bell Laboratories in 1988. Since 1991, he has been with CUHK, where he is currently Choh-Ming Li Professor of Information Engineering. A cofounder of the field of network coding, he has been serving as Co-Director of the Institute of Network Coding since 2010. He is the author of the books A First Course in Information Theory (Kluwer Academic/Plenum Publishers, 2002) and Information Theory and Network Coding (Springer 2008), which have been adopted by over 100 institutions around the world. In spring 2014, he gave the first MOOC in the world on information theory that reached over 25,000 students. His research interest is in information theory and network coding. He was a consultant in a project of Jet Propulsion Laboratory for salvaging the malfunctioning Galileo Spacecraft. Professor Yeung was a member of the Board of Governors of the IEEE Information Theory Society from 1999 to 2001. He has served on the committees of a number of information theory symposiums and workshops. He was the General Chair of the First Workshop on Network, Coding, and Applications (NetCod 2005), a Technical Co-Chair of the 2006 IEEE International Symposium on Information Theory, a Technical Co-Chair of the 2006 IEEE Information Theory Workshop, Chengdu, and a General Co-Chair of the 2015 IEEE International Symposium on Information Theory. 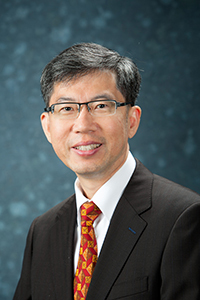 Professor Yeung also has served on the editorial board of a number of academic journals. He was an Associate Editor for Shannon Theory of the IEEE Transactions on Information Theory from 2002 to 2005. He currently serves as an Editor-at-Large of Communications in Information and Systems, an Editor of Foundation and Trends in Communications and Information Theory and an Editor of Foundation and Trends in Networking. He was a recipient of the Croucher Senior Research Fellowship for 2000/01, the Best Paper Award (Communication Theory) of the 2004 International Conference on Communications, Circuits and System, the 2005 IEEE Information Theory Society Paper Award, the Friedrich Wilhelm Bessel Research Award from the Alexander von Humboldt Foundation in 2007, the 2016 IEEE Eric E. Sumner Award, and the 2018 ACM SIGMOBILE Test-of-Time Paper Award. In 2015, he was named an Outstanding Overseas Chinese Information Theorist by the China Information Theory Society. Professor Yeung was a Changjiang Chair Professor of Xidian University, an Advisory Professor of Beijing University of Posts and Telecommunications, and an Adjunct Professor of the Institute of Interdisciplinary Information Sciences at Tsinghua University. He is currently a Guest Professor of Southeast University. He is a Fellow of the IEEE, Hong Kong Academy of Engineering Sciences, and Hong Kong Institution of Engineers. S. L. Fong and R. W. Yeung, "Cut-set bounds for networks with zero-delay nodes," IEEE Transactions on Information Theory, IT-61, no. 7, pp. 3837-3850, 2015. F. Cheng, R. W. Yeung, and K. W. Shum, "Imperfect secrecy in wiretap channel II," IEEE Transactions on Information Theory, IT-61, no. 1, pp. 628-636, 2015. S. Yang and R. W. Yeung, "Batched sparse code," IEEE Transactions on Information Theory, IT-60, no. 9, pp. 5322-5346, 2014. F. Cheng and R. W. Yeung, "Performance Bounds on a Wiretap Network with Arbitrary Wiretap Sets," IEEE Transactions on Information Theory, IT-60, no. 6, pp. 3345-3358, 2014. X. Yan, R. W. Yeung, and Z. Zhang, "An implicit characterization of the achievable rate region for acyclic multisource multisink network coding," IEEE Transactions on Information Theory, IT-58, no. 9, pp. 5625–5639, 2012.